This Banana and White Chocolate Cheesecake could be described as an amalgamation of a banoffee pie and a soft cheese cheesecake. 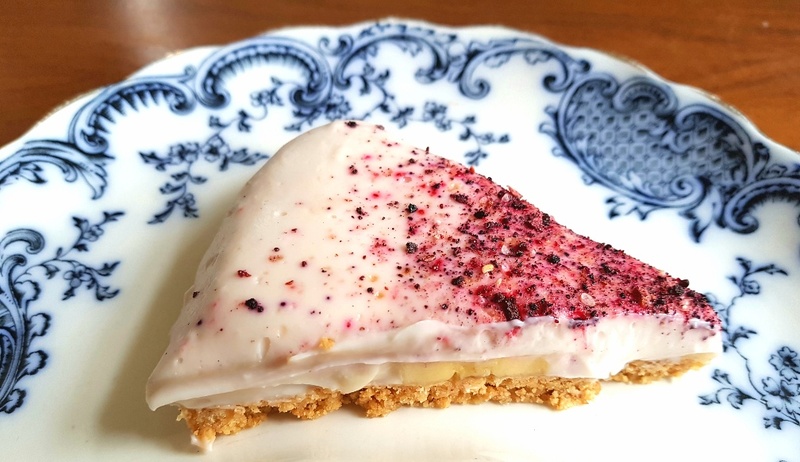 The base is composed of crushed gluten-free digestive biscuits which are packed down to form a crunchy layer before being topped with sliced bananas and a creamy white chocolate cream cheese mixture. I really like this Banana and White Chocolate Cheesecake because, unlike a lot of desserts, it’s very light and yet it has no problem satisfying my sweet tooth. I use dairy-free white chocolate in my cheesecake mixture, but you could use dark chocolate if you’d prefer. It’d make a beautiful contrast to the light colour of the sliced fresh bananas. If you’re looking for a delicious low FODMAP dessert to make then I’d highly recommend this Banana and White Chocolate Cheesecake. I’ve made it countless times and it’s loved by the whole family. Crush the digestives until it resembles sand and then mix in the melted butter. Pour it into the baking tin and press down to form a base. Put it in the fridge to solidify. Place the tinned coconut milk solids (the firm white coconut fat from the tin) and soft cheese in a microwaveable jug and heat it until it is warm. Stir the white chocolate into it. Line the digestive base with sliced bananas and then pour the white chocolate cheesecake mixture on top and then put it back in the fridge. 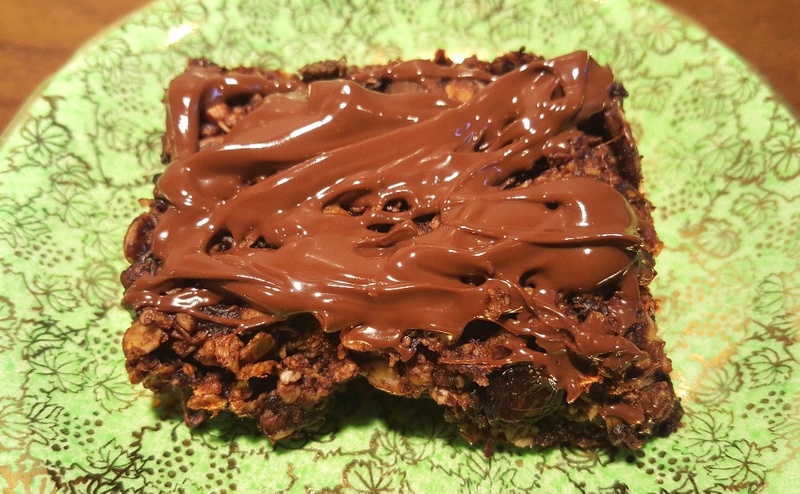 (I decorated mine with some dried strawberries, but you could use some dark chocolate, if you prefer, or leave it plain.) Serve. The Fat Foodie cookbooks are now available on Amazon! 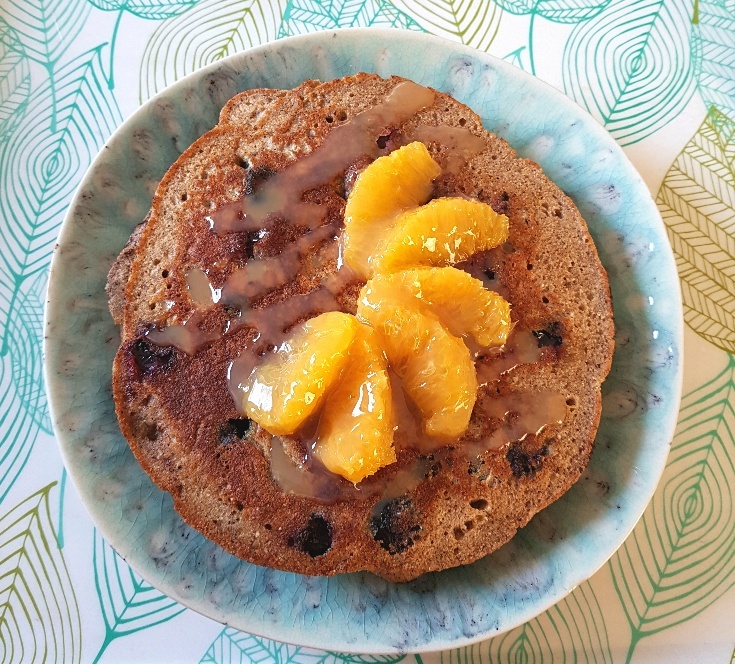 I created this recipe for Blueberry Buckwheat Pancakes because, as I mentioned in my last blog post, at the end of last year FODMarket UK (https://fodmarket.co.uk/) offered to gift me some low FODMAP products in exchange for reviewing them on my website and one of the products I decided to ask for was a box of buckwheat flour, which they’ve recently begun to stock in their online shop. For all that its name contains the word ‘wheat’, it’s actually a gluten-free grain which has a whole range of uses in the culinary world. I’ve wanted to try cooking with buckwheat for quite some time, not because it’s gluten-free, but because it is renowned for its naturally nutty taste and I’m pleased to say that I wasn’t disappointed in the slightest. The recipe I list below makes four generously-sized buckwheat pancakes which can either serve two people or four. I served my partner and I two each for breakfast though and we both agreed that one was quite sufficient, especially when served with fruit on top. The blueberry buckwheat pancakes are a bit drier than a standard gluten-free pancake, but they’re infused with a delicious nuttiness throughout which complements the syrup and fruit you choose to serve with them. Quite frankly, we enjoyed every mouthful! 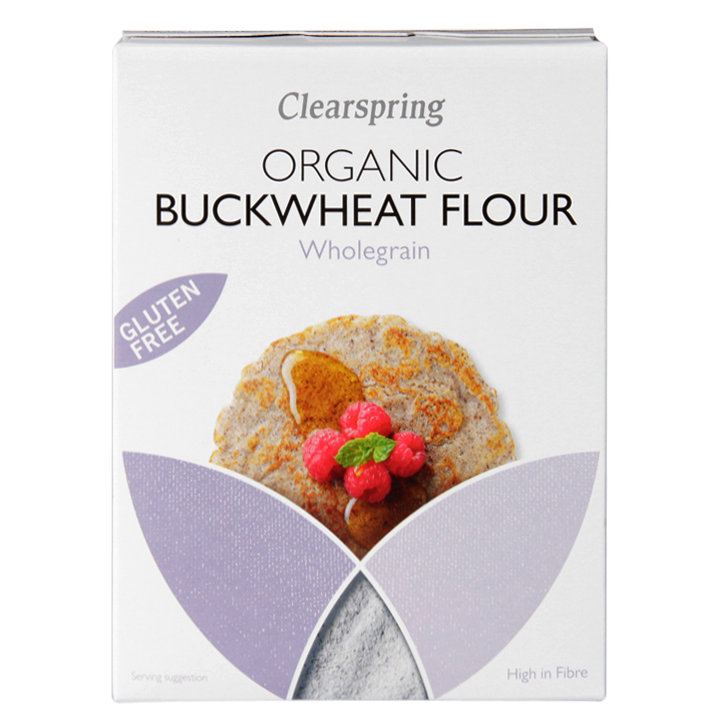 You can buy this buckwheat flour from https://fodmarket.co.uk/ and they offer a flat delivery fee of £3.49 or free delivery with orders over £50. 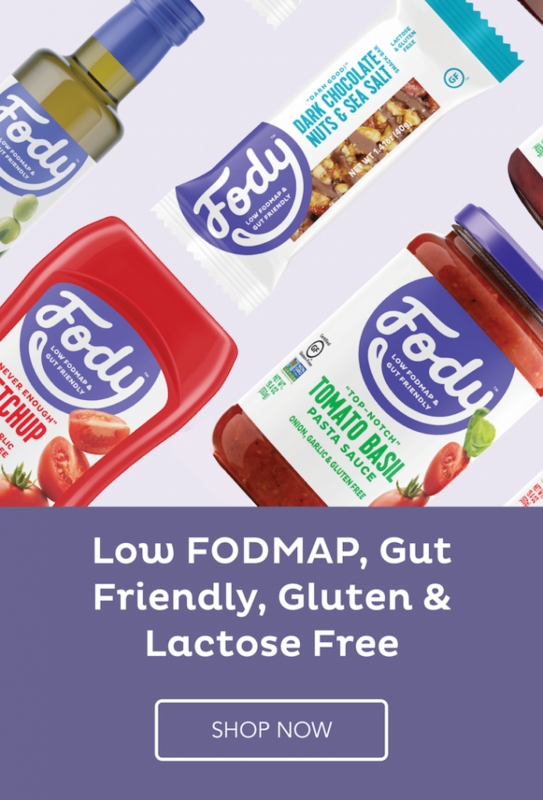 Personally, I think that’s pretty reasonable especially if you were going to be stocking up your cupboards to ensure you’re all set to embrace the low FODMAP diet. 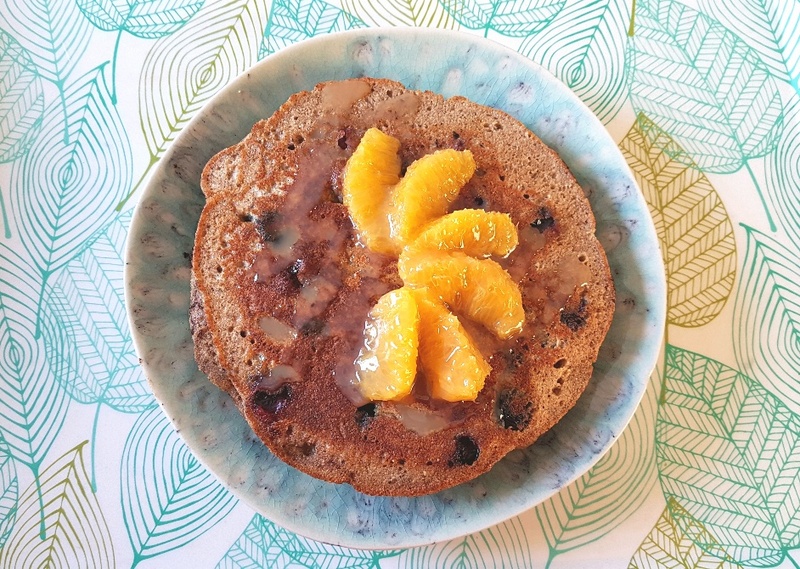 If you do go ahead and buy this buckwheat flour (or you make these buckwheat pancakes) I’d love to know what you think! Simply place all of your ingredients (except the butter and oil) into a large jug and whisk together until fully combined. Once the butter has melted add a quarter of the pancake mixture into the centre of the frying pan and allow it to cook until lots of bubbles have formed on the top. Gently, but quickly, flip the pancake over and cook until both sides are golden brown. Repeat with the rest of the pancake mix until you’ve used it all up. The Fat Foodie Cookbook is now available! 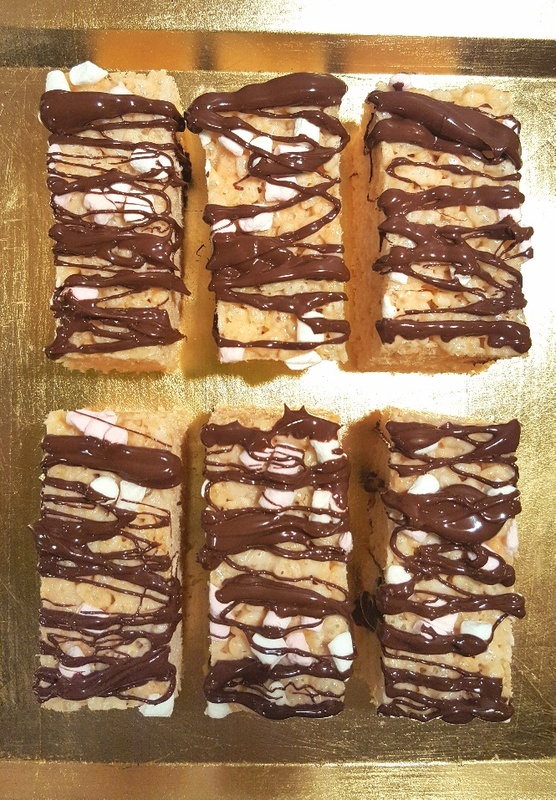 Rice crispy cakes always remind me of being a kid because it was one of the first ‘bakes’ I learned how to make myself. I probably made them for a jumble sale that we were having at Brownies or a festive event at primary school, but regardless of the occasion you could be guaranteed that they would sell out.